4.5 in. 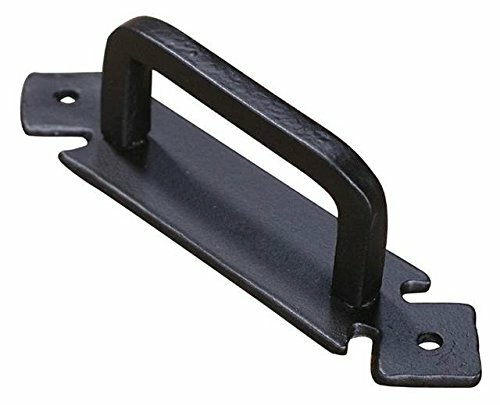 Iron Drawer Pull (Set of 10) by Artesano Iron Works at N Online Agency. MPN: AIW2011NI. Hurry! Limited time offer. Offer valid only while supplies last. Set of 10. Center to center: 4.5 in.. Projection: 1.75 in.. Warranty: Three years. Made from hand forged iron. 5.5 in. L x 1.25 in. Set of 10. Center to center: 4.5 in.. Projection: 1.75 in.. Warranty: Three years. Made from hand forged iron. 5.5 in. L x 1.25 in. W.
Center to center: 4.5 in.